The water and gas lines in your home is a complex system. When you want expert service, look no further than the professional plumbers at First Class Plumbing, Inc. We have been serving the Auburn Hills, MI area for years providing exceptional workmanship that goes above and beyond our customer’s expectations. Our extensive list of services can include gas line repair or installation, plumbing line repair, leak detection, installation of fixtures, sump pump maintenance, and reliable 24- hour plumbing services. Our commitment goes beyond the quality of work performed, we also guarantee in writing a full year against defects in materials. 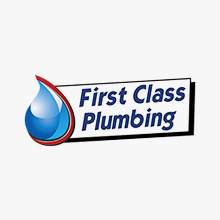 First Class Plumbing, Inc. makes getting a quote easier on any service offered, you can visit our website at http://firstclassplumbinginc.n et or give us a call at 248-860-5084, whichever is convenient for you.